Supercell has launched its brawl star Apk on the Canada app store. Many sources didn’t reveal that when the app will be launched on the Google play store. But the game is available for everyone (worldwide) now on the Play Store. For users who do not know what brawl star game is then, it is a newly developed game which been downloaded by millions of users worldwide. Within a short span, this game has gained a lot of popularity among the players. 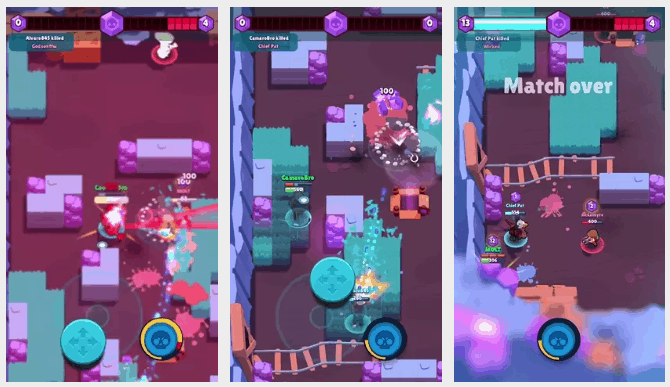 You can fight a tough game with three versus three players in the brawl stars game. This incredible game is developed by an iconic clash of clans game developers. Everyone knows how mind-blowing the clash of clan game is likewise, the brawl stars are yet another superior game from the same developers. Get ready to play this phenomenal game with the multiplayer options. The player has tons of things to explore. The player can choose various modes provided in this game to enjoy all the aspects in this game. Player also gets an opportunity to choose his favorite character from the many tough and rough game characters. Each game character has several special abilities which can help you to gain different gaming experience while choosing each of the characters. The player has the liberty to perform various actions in this game such as shooting, combating, jumping, sliding and running. You can do your unique moves to fight against the enemy. Let’s see the four unique gaming modes available in this game. In this mode, the player has to collect as many stars possible. With collecting many stars the player has to defeat the members of the opponent team. The team with more number stars win the overall game. This mode is about collecting crystals. While collecting many crystals ensure that you also fight and defeat the enemies. The total number of crystals that should be collected is ten. The team which holds more crystals wins the game. The player can either loot or protect from being looted in this mode. The opposite team will have a safe which can be cracked and attained by you. Otherwise, you can defend all your valuable things safe from being cracked and looted. This mode is very electrifying as a number of people are dropped in a shrinking area the one who survives at the last wins the game. It is interesting to know who the last brawler is. 2 How to Download and Install Brawl Stars APK in Windows and Mac PC? You can unlock a new brawler who is powerful and has unique abilities. Four electrifying game modes are available for the gamers. You can fight the game as a single player or with a group of players. You can smash the scoreboard by playing well and getting high scores. You can also score high in the local rankings. You can enjoy the multiplayer shooter option on mobile versions. You can create your own brawler by making various customizations with them. You can form a group and share some combat tips with the other groups. You can enjoy 3 versus 3 gameplay. The thing which makes the game different than the other manufactured game by the same developer is the characters used in the game. There are two similar characters in the previous games however this game contains the new characters. The map is presented in a very different theme and also smaller. Each of the game is performed by two teams. The team has three online players who take part. Each of the players on the teams has to choose the players with whom they will play. They will opt as per the corresponding ability. This game gives a brand new look and a different makeup to the face of mobile games. It brings the theme of the shooting games which makes the players compete and fight with each other. The navigation and location in the game are same as many mobile games with the similar genre. The inclusion of the direction controller on the game will give access to the players to go to different places. The main goal of the game is to collect the crystals which are loosed by the opponent who has deceased. One fantastic aspect of the game is found in the game mode. It comes with a great bounty, exciting smashes and grabs, and showdown at the end. The animations and graphics in the brawl stars have the same themes as the older games but the characters come with new abilities that can be used to fight the enemy. One of the characters can even call a bear that can wreak havoc on the enemies. Some of the pros of the game are its fresh theme and the maze map which gives you the overall view of the area to create strategies. The important tip to play the game is by choosing the suitable character that is powerful and effective. They will help you to win the game. Each of the characters of the game has particular traits that differentiate them from each other. Some of the characters have massive defense abilities and some have the ability to heal. This will give you the support needed to finish the game successfully. After the consideration of the characters and their abilities, it is also crucial to take notice of the range. The shorter ranges are weaker to the long range characters. Going incognito is good when a long-range character is attacking. Therefore in this role, you have to take care to support your whole team. Finally going to the middle of the map will help you to dominate the battles. In this particular area, you can locate the places and directions without any problems. The new great warrior Leon. Leon is speedy, stealthy and strong. The superpower Leon has will help him to go invisible in a jiffy. The beautiful and dynamic atmosphere will give great excitement. The similar and well-known game controls. How to Download and Install Brawl Stars APK in Windows and Mac PC? 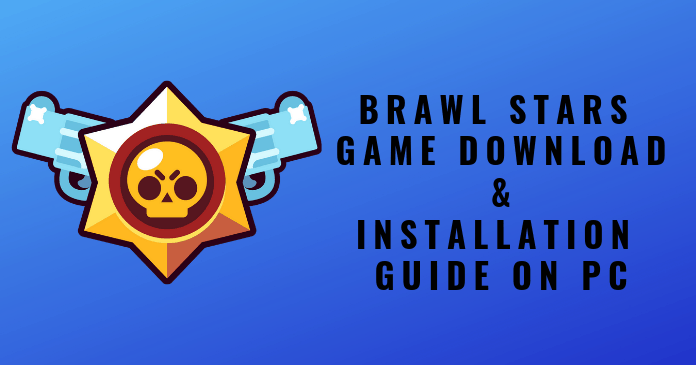 Here are the few steps you need to follow to download and install Brawl Stars Android game on your PC. Download and Install Nox App Player or Ko Player on your PC. Now, Download the brawl stars game APK from the download button link given above. After downloading both the emulator and Game APK file. Open the Emulator and Select the option “Add APK FIle” in the emulator as shown in the below image. Now, Select the downloaded Brawl Stars APK file and Install the app as you do on your Android device. Wait until it finishes the installation process. Now, You can Enjoy your game on the big screen. Here are the few Android Emulators for Windows PC you can check out. There are many versions of the brawl stars APK available. This game tops the games list on the Google play store. There are also spin-off games available which contain new characters. Try playing this game you will surely enjoy it.